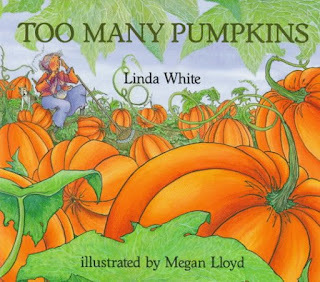 Too Many Pumpkins was yet another enjoyable book I added to the library list based on Sarah's October Picture Book List. I've been trying to get my hands on lots of fall picture books for the kids. Living in Florida is awesome (swimming in October!) but I do miss the traditional fall details -- changing leaves, sweaters, boots, jeans, and the like. It's a classic. 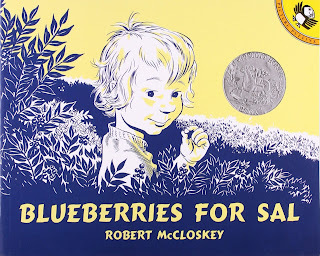 The illustrations and the story are sweet. Dominic, appropriately, calls it the "blue book". 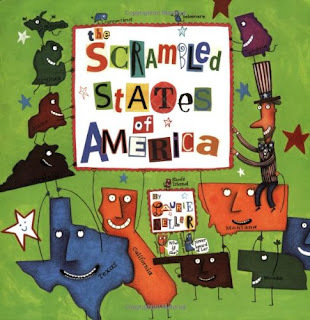 We haven't read Scrambled States of America just yet, It came highly recommended by another homeschool family, so I'm going in with great expectations. We shall see! 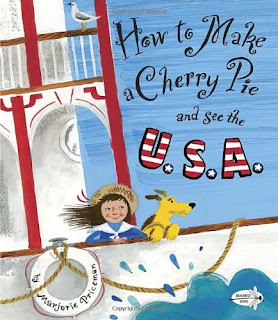 How to Make an Apple Pie and See the World was such a fun read that we had to get How to Make a Cherry Pie and See the USA. Yes, I borrow books from the juvenile section for myself. 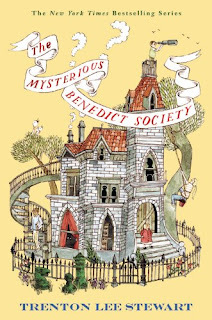 I am loving The Mysterious Benedict Society. Quirky? Check. Odd secrets and a sense of mystery? Check. I've also picked up my first Stephen King book. My husband really enjoys much of King's writing and I asked him to pick one for me. He gave me a variety of choices but I think I will start with Hearts in Atlantis. I currently have 44 items checked out on my card, with 12 books waiting for pick up tomorrow! 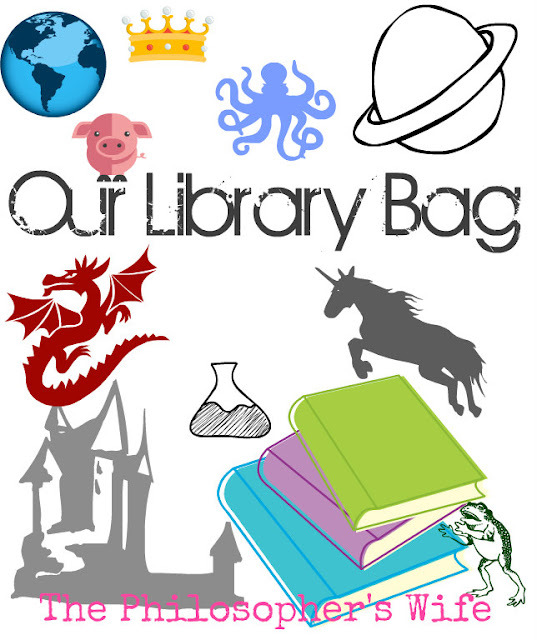 What's in your library bag this week?